US Defense Secretary Ashton Carter's visit to India on Wednesday, June 3, 2015 will be crucial to progress of India's Advanced Medium Combat Aircraft (AMCA). According to Business Standard, Indian officials plan to press Carter on sharing US hot engine technology with India under DTTI, as alluded to in the joint statement released during US President Barack Obama's visit to India from January 25 to 27, 2015. The IAF wants the AMCA to be a 25-ton class aircraft fitted with a 110-kN engine. Currently there is no 110-kN class engine is available in the world market. However, GE Aviation is developing a 120-kN variant of the F414 called the F414 EPE (Enhanced Performance Engine). The F414 EPE is a hot engine - its turbine blades are made of new materials and use more efficient cooling, enhancing turbine temperature tolerance by 150 °F (66 °C). The engine produces 18 percent more thrust than the F414, mostly because of increased turbine temperature. What works well for India is that the LCA Mk-2 and the LCA Navy Mk-2 are to be powered by the F414 which has a thrust of 22,000 lb (98 kn), India placed an order for 100 F414 engines in 2011.A few would be delivered off the shelf, and the rest produced in India. ADA wants to build prototypes of AMCA using F414 engine, and use the F414 EPE for series production aircraft. 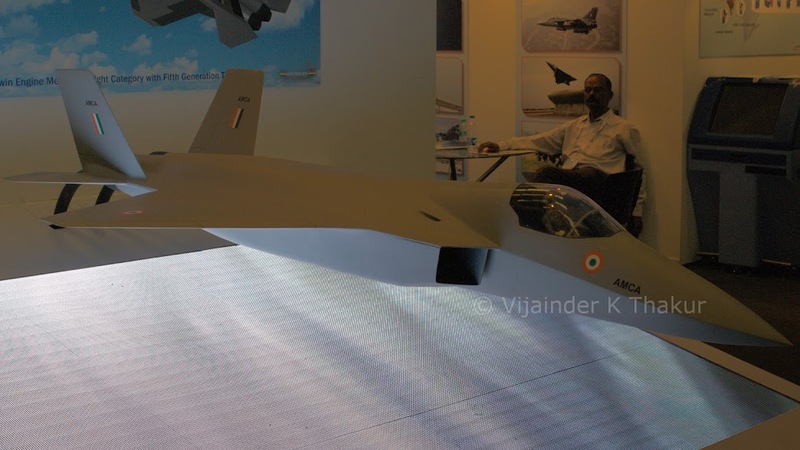 The hope is, India would fund development of a F414 EPE variant for the AMCA under DTTI and in the process gain access to hot engine technology. US readiness to part with the technology or otherwise would prove crucial to the AMCA project. BEL Chairperson & Managing Director S.K. Sharma in his first media interview on May 31, 2015 said that he expected a RFP for the project in six months. Tactical Communications System (TCS) is conceived as a high-bandwidth, mobile, data and voice network that can be rolled out, even in enemy territory during war. The Army will use TCS to provide a dedicated mobile communication system with anti-jamming and electronic countermeasures capabilities. IDP Sentinel members can read more details at the link below. BEL Chairperson & Managing Director S.K. Sharma also said that he expected a RFP for the Battlefield Management System (BMS) next year. The BMS is conceived as a wireless network that links digital devices carried by combat soldiers, interlinking them, their commanders and a range of battlefield sensors. This provides a common battle picture to each individual. The system will integrate all combat units - armored, artillery and infantry regiments, infantry battalions and helicopter flights - and enables commanders to track every soldier and weapon on the battlefield and exchange reports, photos, data and verbal and written communications. The BMS will also facilitate sharing of data from seismic sensors, surveillance radars, long range optical sensors and thermal imaging devices in the battlefield. When deployed, BMS will cover more than 70 per cent of soldiers while digitising the tactical battlefield and creating a secure IoT (Internet of Things) for the army. LR-SAM / Barak-8: Deadly End Game!